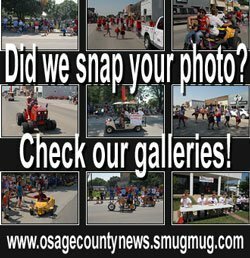 OSAGE CITY, Kan. – Mary F. Carlson, 75, passed away Monday, Nov. 12, 2018, at the Brookside Retirement Community, Overbrook, Kan. Mary F. Miller was born April 6, 1943, in Nyssa, Ore., the daughter of Patrick F. and Elenor (Pyle) Miller. Mary graduated from high school in Theodore, Ala., in 1961. She was joined in marriage to Charles R. Carlson, on April 22, 1962, in Osage City, Kan. To this union two boys were born, Charles Kevin Carlson and Christopher K. Carlson. Mary worked as an activities director for the area nursing homes until her retirement. Her hobbies included working in her flower garden, sewing, and collecting teddy bears and lighthouses. She was also an avid reader. Her greatest pride and joy were her grandchildren and great grandchildren. Mary attended the United Methodist Church and was a member of the UMW, Rose’s Happy Hatters, and the Marshall Club, all in Osage City. Mary was preceded in death by parents; her husband, Charles, on Aug. 8, 2012: a sister, Gloria Kisiel; and a brother, Patrick Miller. A celebration of life will be held at 2 p.m. Saturday, Dec. 1, 2018, at the United Methodist Church, 219 S. Sixth St., Osage City. Family will receive friends an hour before the service. 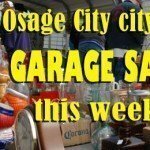 A private inurnment will be held at a later date at Union Cemetery, Osage City. 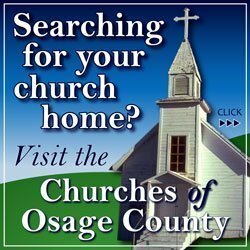 Memorial contributions can be made to Cancer Treatment Centers of America and sent in care of VanArsdale Funeral Chapel, 107 N. Sixth St., Osage City, KS 66523. Condolences may be left at vanarsdalefs.com.